Participation in a regular exercise program has definite benefits for every woman, regardless of her age. These benefits include a reduced risk of becoming overweight or obese and an increase in the prevention of metabolic disorders, such as type 2 diabetes, and chronic diseases, like heart disease, stroke, and dementia. Women also are less likely to experience osteoporosis and sarcopenia (muscle loss) as they age if they exercise on a regular basis. This prolongs life and prevents falls, fractures, and additional morbidity. What about the effects of exercise on mood and quality of life? Well, there is a convincing body of evidence that indicates that women who exercise more are much more likely to be happier, have better-quality sleep, and feel more energetic. Now, some recent evidence is even corroborating with previous reports that suggest regular exercise can help women reduce their own risk factors for cancer. This finding also substantiates the results from other studies that have suggested that even a modest increase in exercise frequency could have a preventative affect on breast cancer rates in women. In this particular study, it was discovered that the women who had participated in at least four hours per week of physical activity for the previous four years had a 10% decreased risk of developing invasive breast cancer contrasted to women who were much less active. This reduction in risk was evident regardless of their body weight, waist circumference, or their level of physical activity from five to nine years earlier. More importantly, the reduction in risk associated with the development of invasive breast cancer with physical activity only was evident if the activity persisted. When the frequency of activity began to drop, so did the level of protection afforded by the exercise on risk reduction. Hence, the important message here is that if you are a female entering into the post-menopausal period, when breast cancer risks increase—please get much more physically active every day. If you are already currently physically active, don’t stop being so—keep going! Aim to complete at least 30–40 minutes of cardiovascular exercise every day. In addition, try some light resistance exercise or yoga, which also offer multiple health benefits. The many benefits from this form of lifestyle enhancement will pay out huge health dividends as you age. 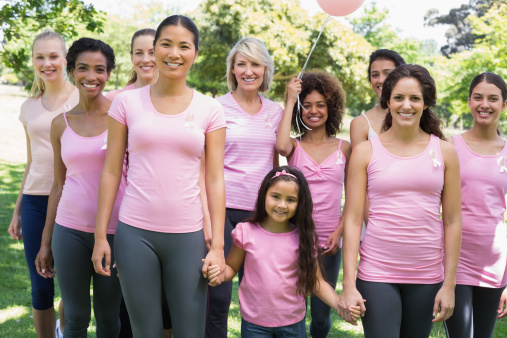 “Regular physical activity decreases risk for invasive breast cancer among post-menopausal women,” News-Medical.Net web site, August 11, 2014; http://www.news-medical.net/news/20140811/Regular-physical-activity-decreases-risk-for-invasive-breast-cancer-among-postmenopausal-women.aspx.